A PoE (Power Over Ethernet) Injector is a device that adds power over an ethernet cable and is commonly used for security cameras that are positioned in areas where there’s no power supply available and VoIP phones. Some plug directly into the wall outlet, while others mount to a wall with a cord that connects to the outlet. The wall mounted varieties usually provide more flexibility when dealing with installation issues as you can always run an extension cord from the outlet to the box (Source). A PoE injector plugs into an electrical outlet and inserts power into the ethernet cable running out of the system and to a particular device, usually one that’s hooked up to a network via ethernet, but not directly connected to a power supply (Source). Buyers suggest when purchasing a PoE injector you make sure the device is able to supply power to all the ports simultaneously if you’re planning on adding to or scaling your system (Source). PoE Injectors are a great way to deliver power to devices on the network that aren’t near a power supply such as security cameras. We looked at 5 injectors, all of which are reasonably priced and should get the job done. 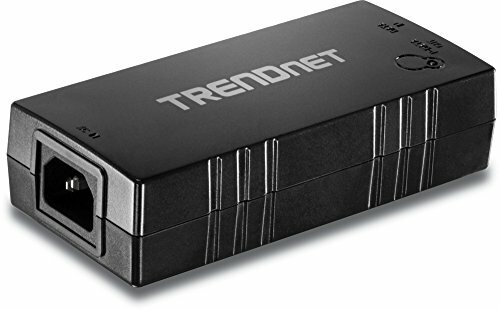 The TRENDnet Gigabit Power over Ethernet Plus is the most expensive of the ones we looked at. It allows you to connect normal PoE device to PoE+ port, which can be useful for scaling your system. The unit is rated to supply power up to 328 feet. In addition, this unit operates at a higher temperature, which is ideal if your device is in an area with limited ventilation. Lastly, buyers gave this high marks for the company’s 24/7 tech support. 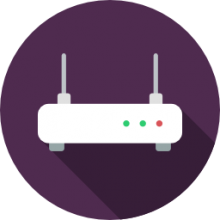 The Ubiquiti Networks PoE 48V Gig Ethernet is primarily designed for powering Ubiquiti hardware, such as their Internet radios, but it can be used with some other PoE devices. Comes standard with earth grounding and surge protection. The Y-Axis Wall Plug PoE Injector 48V for security IP camera is very compact, unobtrusive and plugs directly into a wall outlet. Auto ranging switching power supply provides 100-240 VAC 48V 0.5A output. While the unit advertises its ability to power access points, some buyers are having mixed results with this, so your mileage may vary. Next up is the Ubiquiti Networks PoE 24-12W External Injector, which features earth grounding and surge protection. Comes with wall mounting bracket and US style power cord. Remote reset capability. Lastly we looked at the TP-Link TL PoE150S Injector Adapter. This unit is true plug and play with no configuring required. It expands network to areas with no power lines or outlets and delivers power up to 328 feet away. Works well with IP cameras. Features two gigabit ethernet ports. Buyers say they can get gigabit speed at up to 300 feet with companion injector. Will auto detect your devices’s power requirements. If you’re looking for a top-rated PoE injector, you might want to consider the TP-Link TL-PoE150S. Users love the effectiveness of this unit, but some do complain that it feels cheap. This PoE injector fully complies with IEEE 802.3af standard, and it can work with all IEEE 802.3af compliant PDs (Powered Devices) and PoE Splitters. Thanks to these features, you can expand your network to areas with no power lines or outlets. It is said to deliver power up to about 328.1 feet (100 meters). 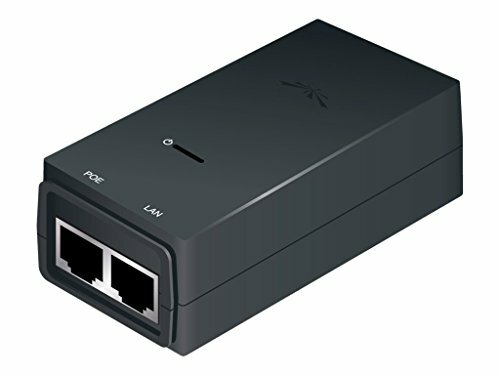 A similar model(TL-POE200) is also available.This item might be a good choice if you want lightning-fast wired speeds for your PDs. In general, buyers have a very favorable opinion of the TP-Link TL-PoE150S PoE injector. They agree that it is a small and unobtrusive unit for PoE devices. Users appreciate that it is simple and effective, with flawless operation. However, some purchasers do complain that it looks and feels cheap. Some online reviewers share that it fails to reestablish a connection when the power goes out. If you are looking for a PoE injector, you might want to consider the Ubiquiti Networks POE-24-12W external injector. Users like the flawless operation of this item, but some do complain of difficulties with the setup. This product is a PoE injector that features earth grounding/ESD protection, power LED, LAN LED and remote reset capability. Its input voltage is AC 120/230 V and output voltage is 24VDC at 0.5A. The device weighs 4 oz. This item could be a solid choice if you want to expand the network for your Ethernet-enabled devices to areas with no power outlet. In general, users state that the Ubiquiti Networks POE-24-12W meets their expectations.They agree that it is simple to use and robust. Users state that it works flawlessly. However, some do complain that it can be hard to set it up.Buyers state that it would have been better if it supported Gig speeds. The Y-Axis PoE Injector is a good option for PC competitors when there are no power outlets in the vicinity of their PDs. Users love the quality of this device, but some complain of malfunction. This product is wall-plug PoE adapter which allows an Ethernet-enabled device to be placed 328ft away from a power outlet. Thanks to this device, you can power your wireless LAN access point, IP phone, or a web camera remotely. This item might be a solid choice if you have a security IP camera that needs to be powered remotely. The general user consensus concerning the Y-Axis wall-plug PoE Injector is that it works great. Most of the purchasers state that it has been working for a few months without issues. Many buyers appreciate that it is compact and simple to use. All in all, they conclude that this unit is a great value for the money. However, there are some unsatisfied buyers. One online reviewer shares that his unit stopped working after a few months. Another one states that this item killed two of his PoE cameras. The Ubiquiti Networks POE-48-24W-G PoE injector could be a good option if you want a model that provides earth grounding and surge protection.Users like the reliability of this PoE injector and have no complaints so far. This product is a PoE injector that powers Ubiquiti PoE devices and helps protect against ESD attacks. It features remote reset capability, power LED and US style power cord.This product might be a good option for those who want to use their Ethernet-enabled devices where there are no power lines. So far, users have only good things to say about the Ubiquiti Networks POE-48-24W-G. They conclude that it works perfectly. Many buyers appreciate its reliability and excellent build quality. The TRENDnet PoE+ injector, model TPE-115GIis a good option for someone who wants to save on installation and equipment costs. Users like the effectiveness of this PoE injector, but some complain about the price. This product combines electrical power with a Gigabit network connection to produce a PoE+ signal. According to the manufacturer, it converts a non-PoE Gigabit port to a PoE+ or PoE Gigabit port. Furthermore, the auto-sensing technology delivers 30 Watts to 802.3at PoE+ devices (or 15 Watts to 802.3af PoE devices). There are two more models available from this manufacturer: TPE-113GI and TPE-117GI. This item seems like a good choice if you want a PoE injector that delivers high availability and scalability. 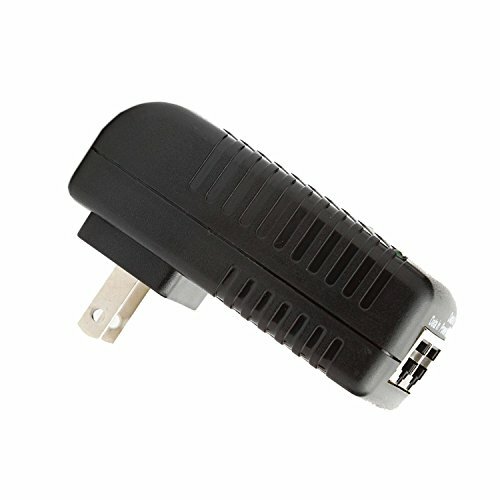 The general user consensus concerning the TRENDnet PoE+ injector TPE-115GI is that it works smoothly and flawlessly. They agree that it provides plenty of power for PDs, such as IP cameras. In addition, users state that it is very simple and easy to use. However, some buyers complain about the price, saying that there are cheaper options on the market with the same features. Several purchasers complain about the loud unbalanced fan. It is a technology with which electricity can be supplied through standard Ethernet cables. Supplying electricity in this way is useful as it gives you the opportunity of having only one cable which will provide a device both with electricity and the computer network. 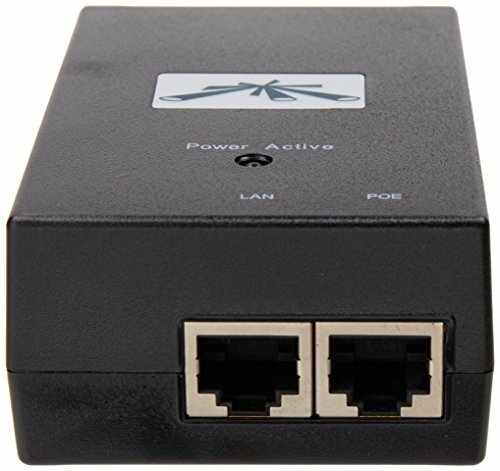 You can use it to power IP telephones, network cameras, wireless LAN access points, embedded computers, remote network switches, and other appliances. In most of these cases supplying power separately is often expensive, inconvenient or infeasible. This technology is also comparable to POTS telephones. Both power and data are received with the same cable. For power over Ethernet, it is not necessary to change the already existing Ethernet cabling infrastructure. A few general terms are used for describing this feature. The terms Power over LAN (PoL), inline power and Power over Ethernet (PoE) are synonymous terms that are used for describing the powering of devices through Ethernet ports. Why use Power over Ethernet? Supplying Power over Ethernet provides a number of advantages to an installation. Cost and time savings: it reduces the expenses and time of installing electrical power cabling. It is not required for network cables to be fit by a qualified electrician, and it can also be located anywhere. Flexibility: such devices as wireless access points and IP cameras can be located in any place where they are needed most without being connected to an electrical outlet. They can also be easily repositioned if necessary. Safety: POE delivery is smart, and is designed to avoid underpowering, incorrect installation, or overload of network equipment. Reliability: the source of POE power is central and universally compatible, and not a set of distributed wall adapters. POE power can be controlled to reset or disable devices and can be easily backed-up by some uninterruptible power supply. Scalability: as power is already available on the network, it is quite simple and effective to install and distribute network connection.